Looking for some fresh ideas for closing gifts? We’ve done some footwork for you! This year we’ve focused on gifts that help clients explore and appreciate the new neighborhood they’ll call home—all thanks to your guidance. A taste of local flavor! From farmer’s markets to local Mom-and-Pop stores, interest in supporting local businesses has been growing in recent years. 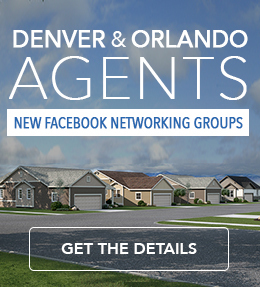 Why not wow your clients with some insider knowledge of your area’s best-kept secrets? This may be especially popular with relocation buyers eager to shed their newcomer status. Companies like Colorado Crafted offer themed gift sets—such as this spa box and this snack tote—filled with products made by local artisans and businesses. Prices vary, but can typically scale to what you’re looking to spend. Or, if you’d rather take a more hands-on approach (and eliminate the middle man), you can select your own assortment of local favorites. Don’t forget local wineries, beehives, breweries and orchards! Was your client particular about their new kitchen’s features? If so, they may appreciate some new, locally inspired recipes to help break it in! Maybe your town’s restaurants have contributed to a volume of Chef’s Table ($12 – $35 + shipping) or a local author has penned a book of recipes. Do a little digging and you may find a read your clients can sink their teeth into. It can be hard to see past big-box stores and restaurant chains. Introduce your clients to your town’s bistros, music venues, museums, boutiques, easy day-trips and more with a personalized to-do list. Depending on the area (and adventurousness of your client) this may be a short, ten-item list or a more lengthy offering. Any time they’re looking for something new to do in their new town, your clients can look to your list for inspiration and think of you. The list can be calligraphed and framed, arranged into a beautiful word cloud, or laminated and packaged with a dry-erase marker to add to the presentation. Too DIY for your taste? Consider gifting a local guidebook instead. A new look at their new neighborhood! 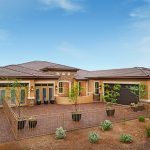 Satellite and aerial photography have become everyday tools in house hunting, but did you know they can also be used for house warming? These personalized closing gifts celebrate the perfect spot you found for your clients. 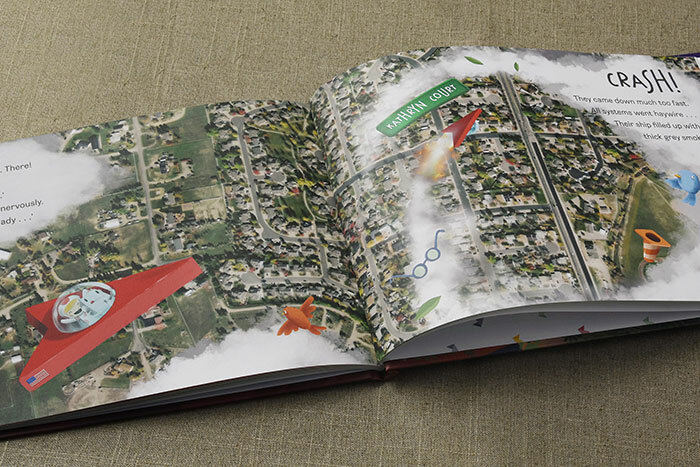 Get your clients’ child excited about their upcoming move with a personalized storybook that features not only their name, but also their new address and aerial photography of their new neighborhood. 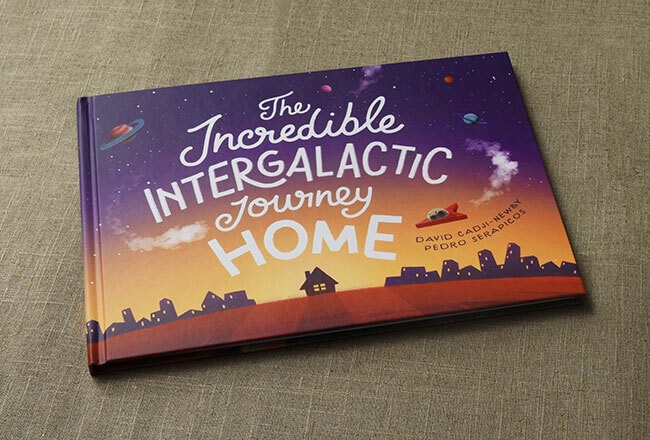 Made by Wonderbly, The Incredible Intergalactic Journey Home by David Cadji-Newby and Pedro Serapicos is available in hardcover and paperback, typically ships within a couple of weeks, and currently ranges in cost from $25 to $38 (+ shipping). When you place the order, you’ll need the child’s first name, general appearance (hair color, gender) and street address. You may also include a personal dedication at the beginning of the book. Note for new home sales: Some newer addresses may not appear in the site’s search results, but you can still manually adjust the aerial view by dragging the image until the targeting circle contains what you want it to show. The house number and street address should print as you’ve entered it, regardless of whether it is found in the database. For older kids (or kids at heart!) we’ve found another gift that makes use of today’s spectacular satellite photography: personalized puzzles. These range from UncommonGoods’ birchwood set crafted in the UK ($130 + shipping) to Butler & Hill’s millboard puzzle ($50 + shipping). Production time can be 2 – 3 weeks, so this isn’t a last-minute option. A few companies have hit on the idea of using aerial photography or USGS maps in the shape of a house, a heart or a map pin to commemorate an important spot in a family’s life. We’ve rounded up some of our favorites, hovering in the $75 – $85 (+ shipping) range. Looking for more ideas? Check out last year’s gift guide and our Gift ideas for the home board on Pinterest! Costs are approximate and reflect online advertised prices as of 11/27/2018. No endorsement of the products or companies listed above is intended.